A very tasty duck based pate more similar to rillettes. When you open the jar, you’re welcomed by a savoury aroma which is very pleasant. The texture is very pleasant, the taste well balanced, and seasoned with a hint of garlic, overall very authentic. 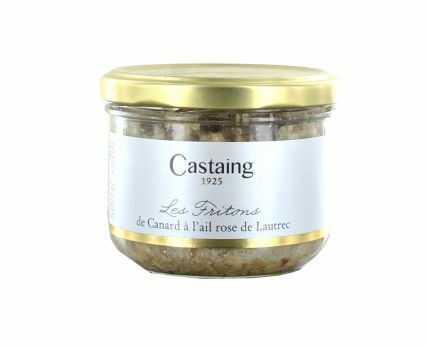 Delicious served at room temperature on baguette or toasted bread. Dietary Information: Gluten free and wheat free. Duck meat and duck fat 97%, salt, pink garlic from Lautrec 1%, pepper.